Avail from us the best grade Glycerol, which is a main by-product of biodiesel production. 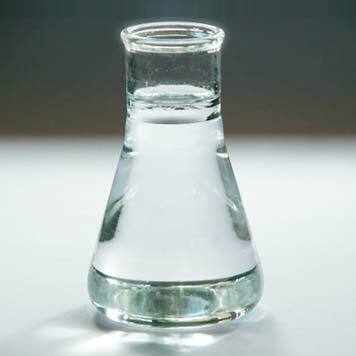 It is a colorless, odorless, viscous, nontoxic liquid with a sweet taste and is commonly known as glycerin. Largely used in various industrial applications, the Glycerol that we manufacture, export and supply is commonly used for preparing skin products like creams, lotions, etc. Glycerin is commonly called glycerol or glycerin. Glycerin is a sweet-tasting alcohol, which is colorless and odorless. It becomes a gummy paste when frozen, although freezing it can only be achieved at very low temperatures. It melts at 18 degrees Celsius and boils at 290 degrees Celsius. Its chemical formula is C3H8O3. It is miscible in water and alcohol. However, it does not mix with oil. It is an excellent solvent. In fact, there are substances that dissolve better in glycerol than in water or alcohol. The compound absorbs water from the air. This is why it is known as a hygroscopic substance. Suppose you leave a container of pure glycerin or glycerol in open air, it will become diluted as it attracts water molecules. According to a speculation, a drop of this liquid in the tongue can raise a blister because it would draw out water from deep into the tongue tissue. But this remains a clever speculation. The compound originates from fats and oils. In fact, molecules of fat contain glycerol. One way to extract it from fats or oils is through saponification - a chemical reaction involving a fat and an alkali. This chemical reaction produces soap. Soap-making is a common source of this trihydric alcohol under discussion.